…is apparently good for business at Colonial Williamsburg. Here’s my take: This is good news, whether the movement’s take on history is sound or not. Folks are going to historic sites in order to engage the past so they can get inspiration for living in the present. In the process, they’re getting exposed to aspects of the past that challenges as well as confirms, and hopefully they come away better informed. Isn’t that why we do public history? Wal-Mart has decided to back off from its plan to build a new superstore near the Wilderness battlefield. Not only that, but the company is going to reimburse Orange County for the legal costs incurred in going to court over their decision to approve the project. Hats off to the preservationists who kept this cause going in the face of discouraging obstacles, and to Wal-Mart for doing the right thing. Speaking of battlefield preservation, the Pennsylvania Gaming Control Board met today, but without a decision on the proposed Gettysburg casino. The folks from No Casino Gettysburg were there anyway, in order to stay on top of things. They have their own blog, which I didn’t know about until today; I recommend you make it one of your regular online stops so you can keep up with what’s going on with this threat to America’s most famous battlefield. I’ve added it to my blogroll here. Drop a line to the PGCB and let them know you stand with those who don’t think Gettysburg is an appropriate place for a casino. Hopefully when the time comes for them to make the call, we can celebrate another victory to go alongside today’s. …all in one easy step. Tip of the hat to Kevin Levin. Now we can add altering original documents to the list of historical no-nos that people should have enough sense not to commit, along with plagiarism, invention of records, lying about your background, and pretending to be buddies with Dwight Eisenhower. Lowry claims that the National Archives pressured him into a confession. Apparently archivists can be pretty intimidating, when they put their minds to it. Is there a warren of dingy rooms with concrete floors and bare light bulbs tucked away within NARA headquarters for just such a purpose? Do they ask the CIA to lend a hand? Do they bring in mob muscle? Batman? One of the things you didn’t do during the American Revolution was question George Washington’s integrity. You could criticize his judgment, but not his character. Once he assumed the presidency, of course, Washington’s character did become a target. Serious differences about the direction the new nation should take emerged among the generation of men who made the Revolution, and these differences were the genesis of the first American political parties. Despite Washington’s wish to appear above the fray, he ended up choosing a side, and that side was the one in favor of a stronger central government, a more modern financial system, and commercial relations with England. Washington aligned himself with Hamilton and the other Federalists, and in so doing he opened himself to criticism from Jefferson, Madison, and their colleagues who thought this vision of America threatened the Revolution’s legacy. During the war Washington had been the embodiment of virtue, but to the Republicans it now seemed he was supporting men and measures that were undermining everything his generation worked to build. Yet he was still George Washington. Perhaps this contradiction explains a conviction that appears in Jefferson’s writings from this period. If you relied solely on Jefferson’s appraisal of Washington, you’d come away with the impression that the Father of his Country was basically a dupe. For a time, Jefferson thought Washington supported Hamilton and the Federalists because he was being misled and deceived. By relying on Hamilton to shape financial policy, Washington was supposedly letting himself be dragged along by a scoundrel, simply because he didn’t know enough about running the country to rely on his own judgment. Washington was a shrewder customer than Jefferson gave him credit for. How could somebody who worked with Washington misread him so badly? I’ve started to suspect that part of the explanation is psychological. During his second term, Washington became fair game for every sort of outlandish, slanderous charge imaginable—monarchism, Anglophilia, even treason during the war. 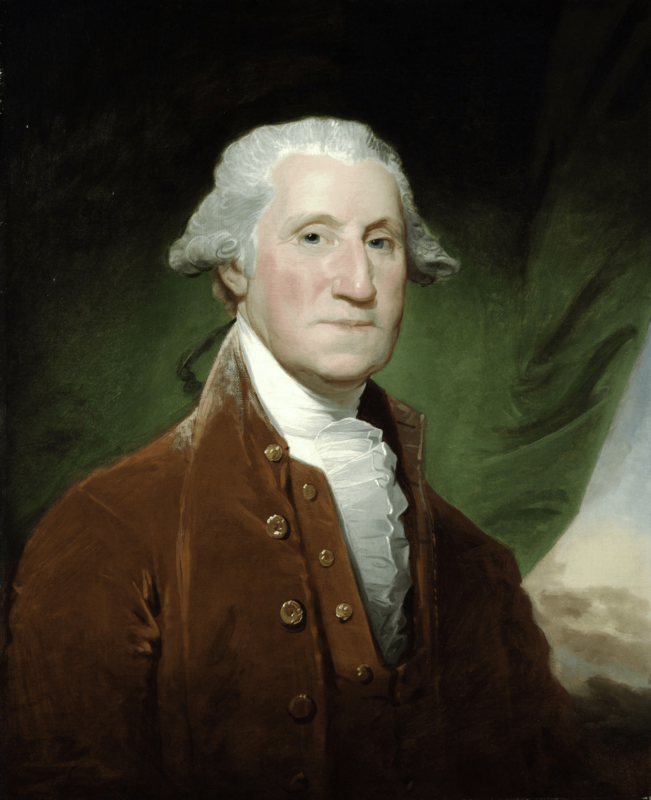 But other observers remembered Washington as America’s Cincinnatus while simultaneously seeing that he was taking the country down a path they believed to be wrong. How to reconcile his virtue and his supposed lack of prudence? The explanation had to be that Washington was in the dark, and therefore at the mercy of the unsavory characters who had his ear. If this story sounds a little familiar, it should. This was the same narrative Americans had been telling themselves a couple of decades before, except at that point it had been the King of England, rather than Washington, who was the dupe. Americans believed that a plot was underway to enslave them, and they knew that English politicians and some of the king’s advisors were in on it. But at first they were reluctant to implicate the king himself. They assured themselves that his ministers were misleading him, and that if they could get the truth about America’s plight to the throne, then he would alleviate their situation. Eventually they learned that he wasn’t as in the dark as they’d thought, and that in fact he wanted his subjects to submit to the same policies that they found oppressive. For many colonists this discovery was a profound disillusionment, and it was a crucial step in their eventual decision to break from England completely, a process Pauline Maier outlines in her study of the evolution of America’s protest movement. It’s a richly ironic situation. By psychologically preserving Washington’s integrity, Jefferson had to assume that he was fundamentally ignorant. And in so doing, he recapitulated a pattern Americans had first applied to the same king against whom Washington led a revolution. …courtesy of the National Museum of American History, and you can be on the jury. It’s a neat idea for a program. The Jacksonian America blog directs our attention to a British ranking of American presidents, which is well worth a look. Washington stands at number three, so apparently there are no hard feelings. I find it interesting that Jackson made it into the top ten. I would’ve assumed that Old Hickory would represent the stereotypical America imagined and feared by Europeans—a product of the frontier, brash, violent, rough around the edges. (Plus there’s that whole New Orleans business.) Perhaps a commitment to populism, like charity, shall cover the multitude of sins. …and the darn thing just turned up here in East Tennessee. Now it’s headed back home. Check it out.